《Soda Girls》 is a horizontal version of the cartoon action game, game player by setting their own unique combo, against crazy zombies, save companion. If you don't think the game is tough enough, you can upgrade the monster gene (What the hell? Very Positive (210) - 87% of the 210 user reviews for this game are positive. 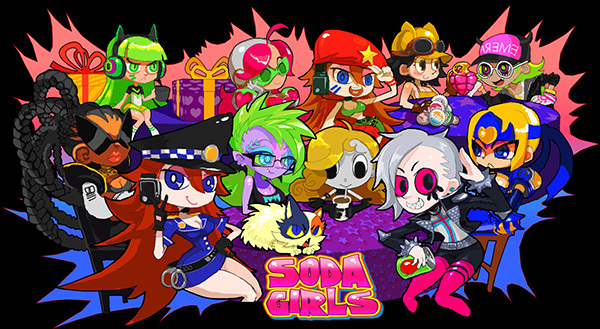 《Soda Girls》This is a difficult game, Soda girls not only fights the kinds of strong and cuning combies, but also fights from crazy scientists, strange circus clowns, gangsters, and aliens from other planets; every enemy should be played carefully, otherwise, Soda girls may be killed by your careless.